A force to be reckoned with, Jessie Chung’s new “Bond girl” persona is unstoppable and continues to engulf the world in flames! Jessie Chung’s new English album There You Are has recently busted into the most influential and authoritative chart in the Taiwanese music industry, Five Music, debuting at number two on the Top 5 Chart for international albums. 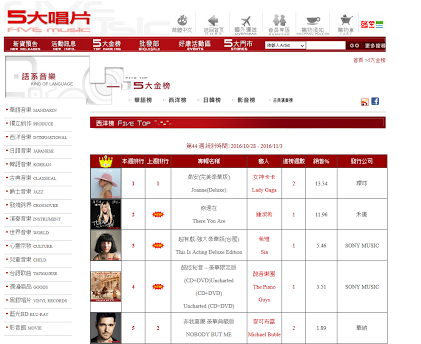 Five Music’s Top 5 Chart is the leading Taiwanese music chart and the only chart in Taiwan solely based on album sales. Jessie Chung, who has been promoting her album in Taiwan and Australia, has become the flavor of the month with the Taiwanese media, and the sales for her album There You Are have reached astonishing heights in the recent weeks. 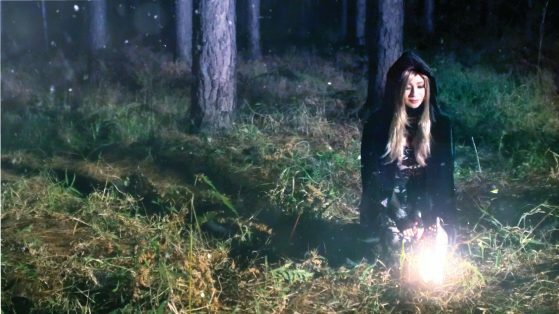 Her single from the album the same name, “There You Are” reached 1 million views on YouTube; it seems that surprises just keep rolling in for the promising singer. In addition, Jessie Chung has caused waves of excitement at the Taiwanese music industry, and has become a hot topic in the Taiwanese entertainment industry. Not only did she accept exclusive interviews from the Taiwanese mainstream media such as Liberty Times with KiKi Hu, she also became headline news for many entertainment news such as Apple Daily, United Daily News Group, and China Times. While promoting her album in Taiwan, she was invited to many radio stations, getting interviewed by Do Zi, Wu Da Ru, Wu Jian Heng, and Zi Han on Broadcasting Corporation of China, and Zhu Wei Yin and Guang Yu on UFO Corporation. Other radio stations and online shows that Jessie was invited to include: Police Broadcasting Service, LaTogetherLive on RC Show, Best Radio, I Love Asia Fm, i Radio, PTT Radio, Cheng Sheng Broadcasting Corp., Pop Radio, KissRadio, Hit FM, Super FM, Lucky 7 FM, City FM, M-Radio, etc. ; Jessie was also invited to the Queermosa Awards. “Reinventing” herself, Jessie Chung has attained higher horizons in the entertainment industry, and the stage is set for her to come out with another breakthrough in the near future.